Should I Shave My Labrador in the Summer? Ah, that big, thick double coat of the Labrador Retriever! You love snuggling in it in the winter. But now it’s summer. Surely, he is roasting in that heavy fur coat! Besides, you are tired of the constant sweeping and vacuuming from the shedding. 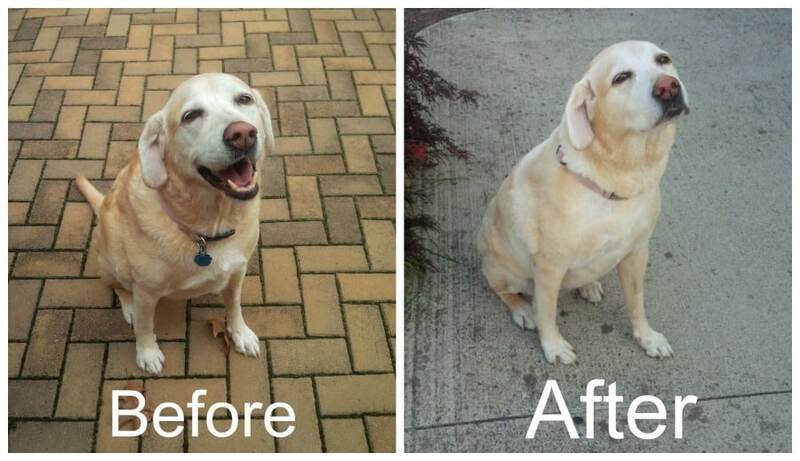 Your first thought might be that your Lab should go to the groomer to be shaved down. Wouldn’t your canine pal feel much cooler? Lisa Tesch who writes articles and blogs related to pet sitting and canines in general suggests this,” The double coat is made up of an outer coat and an undercoat. The outer coat is made up of longer , guard hair and the undercoat more dense, coarse hair. The outer coat helps repel moisture and dirt. the undercoat helps keep dogs insulated. Why not shave a dog with a double coat? Shaving a dog with an undercoat takes away their protection. The undercoat is the insulation the Lab needs to keep cool during the summer and warm during the winter. It also protects your dog against getting sunburn from damaging UV rays. The shedding might be a pain for you but shaving your lab down in the summer won’t necessarily rid all of the shedding. Instead of shedding the fluffy, soft undercoat your lab will shed prickly, short hairs that are harder to clean up and hurt if they poke you. Grooming your Labrador Retriever is preferable to shaving their coat. The lab typically blows their coat twice per year. The Yellow Labs tend to shed all the time. 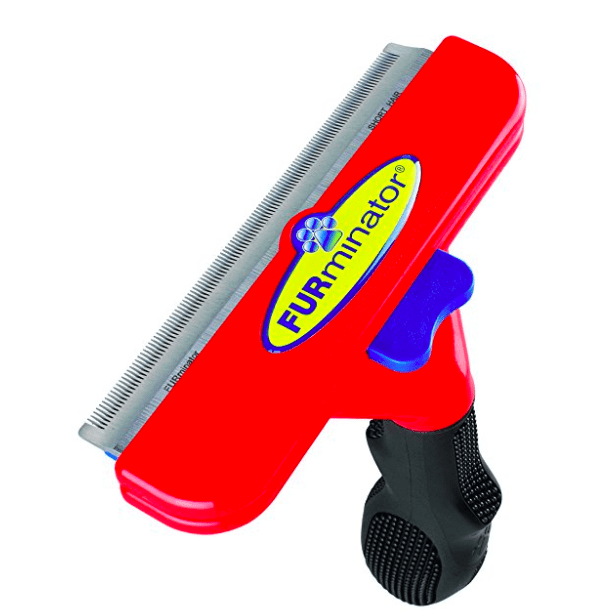 Regular brushing will remove the loose hairs which helps circulation to keep your dog cool. Visiting the groomer during the shedding season, especially in the spring is recommended. They can give your Lab a bath and blow out the undercoat. Water is essential to help keep your pet hydrated and cool during the summer months. Always have fresh water available for your dog. Will it help my retriever handle the summer heat if I trim his coat? Not a short shave but a minor trim across the top of his back & neck, shoulder area? Why would a fan help a dog keep cool? I didnt think they sweated as a means of evaporating out surface heat, as do humans. When I was in the army they would tell us to keep our long sleeves on in the summer. The reason is dehydration. When we sweat, it evaporates, and we keep sweating to keep cool. If you wear long sleeve in the summer, it absorbs he sweat. That wet fabric lays on your skin and send signals saying there is already sweat there and there no need to continue sweating. So, in this way it keeps you hydrated. If this is accurate and if dogs are the same, then all that fur helps retain sweat which keeps them cool as well without having to continue producing excess sweat.